Only I could make chocolate into a breakfast food, what more could you want? I am not a big breakfast person, but when the breakfast recipe requests just seemed to keep coming in via my website, facebook page or emails, I thought it was about time I got down to it and did this book. I actually love a long, lazy breakfast, with friends and family gathered close. I love to eat out for breakfast as well, which is where a lot of the inspiration for these recipes began. I have borrowed at least two ideas from a wonderful restaurant in Melbourne (The Hardware Societe) that I went to this time last year. I will always make an effort to have breakfast there when in Melbourne! All in all, I think I have covered most of the foods I love to eat at breakfast and found some new faves at the same time. My personal favourite in this new book is the Crunchy Grain Free Granola, starring my constant friend in the pantry, Quinoa. 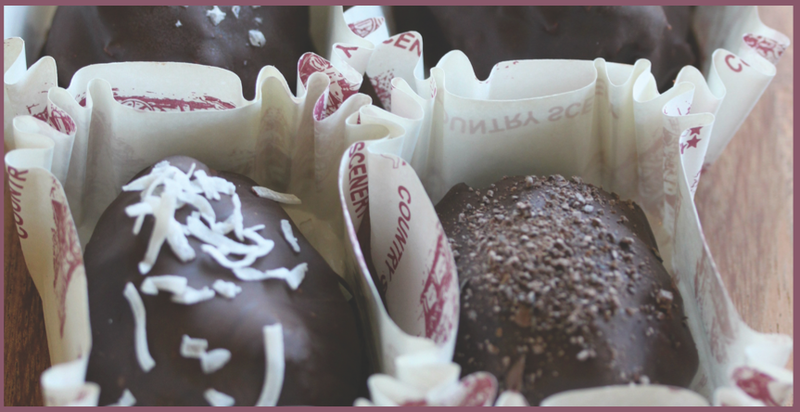 Give it a go…I think you're going to love it too. Bon petit déjeuner or something like that! 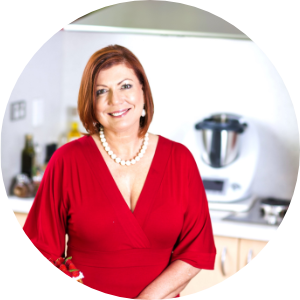 "I discovered Tenina on Facebook a couple of years ago when I first purchased my thermomix. Soon after, I made my way to her website to purchase her recipe book "For Food's Sake". While I was on her website, I ordered the cookbook but I also discovered a mountain of fantastic recipes and her app - amazing! I use the recipe book all the time and am really looking forward to the release of her next book. I also use her app all the time while I am in the supermarket thinking about what to make for dinner. It's well set out and so easy to navigate. For a while I've been wanting to attend one of Tenina's classes, but since I live in Qld and she's based in Perth, it's been a bit tricky. Recently we both ended up in Sydney so I was thrilled to attend her Mexican Fiesta class with my sister. Tenina is a whiz with the thermomix so she's great to watch and was happy for anyone to ask questions and gave us lots of tips. We had a great time and I've made the class mexican recipes lots of times for friends and family who all LOVE them!" "Once you go Tenina, you never go back! When looking for a recipe, I always check Tenina's site first as I'm assured that the recipe will be delicious and will work every single time. Tenina's recipes are my dinner party secret - my friends think I'm a fabulous cook! When invited out it is Tenina's dishes that consistently get requested for me to bring - I often wonder if it's Tenina's dish being invited or me."